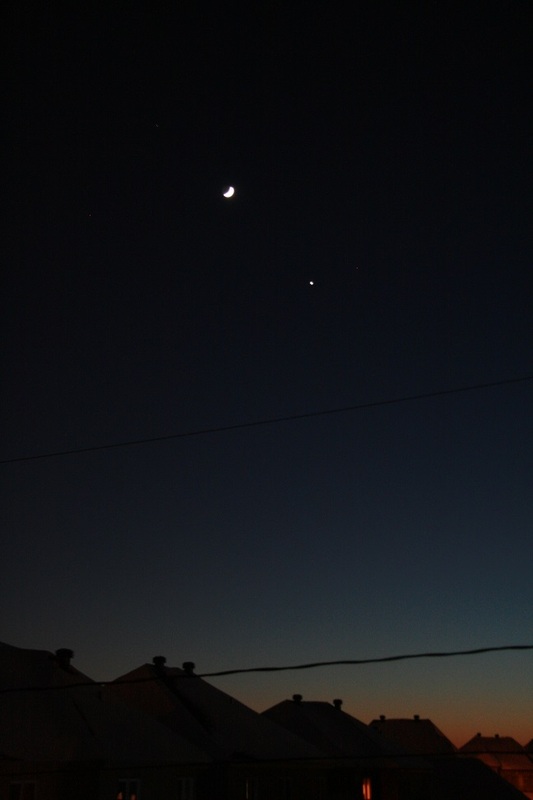 It’s not often that the Moon finds itself between two planets nicely lined up and within a 12 degree field of view. 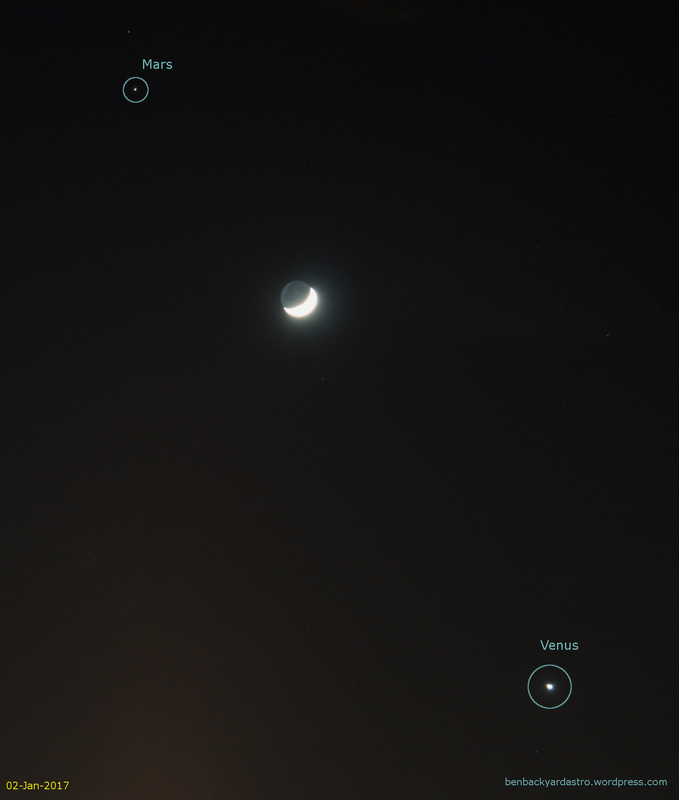 Just yesterday at around the same time, the Moon was located below Venus. The image below is a two second exposure at ISO 800 with 53mm lens at f/5.6 on a tripod. I cropped the image to remove a street lamp and light pillars from other light sources further in the distance. The toughest part was actually finding a spot around my block where there was less glare from street lights or annoying power and utility lines in view. Luckily I found a spot with two extinguished street lamps and setup in between. A little earlier I quickly snapped the image below from the bedroom window on the 2nd floor. The sky wasn’t dark yet, and as the camera was hand-held, 1/4sec was the lowest I could go. Nevertheless with the rooftops in the foreground, it provides for a sense of scale and location in the sky. The orange-red horizon from the setting sun is a nice touch. This entry was posted in Observing, Photo and tagged Astronomy, Astrophotography, Mars, Moon, Space, Venus by Benoit Guertin. Bookmark the permalink.